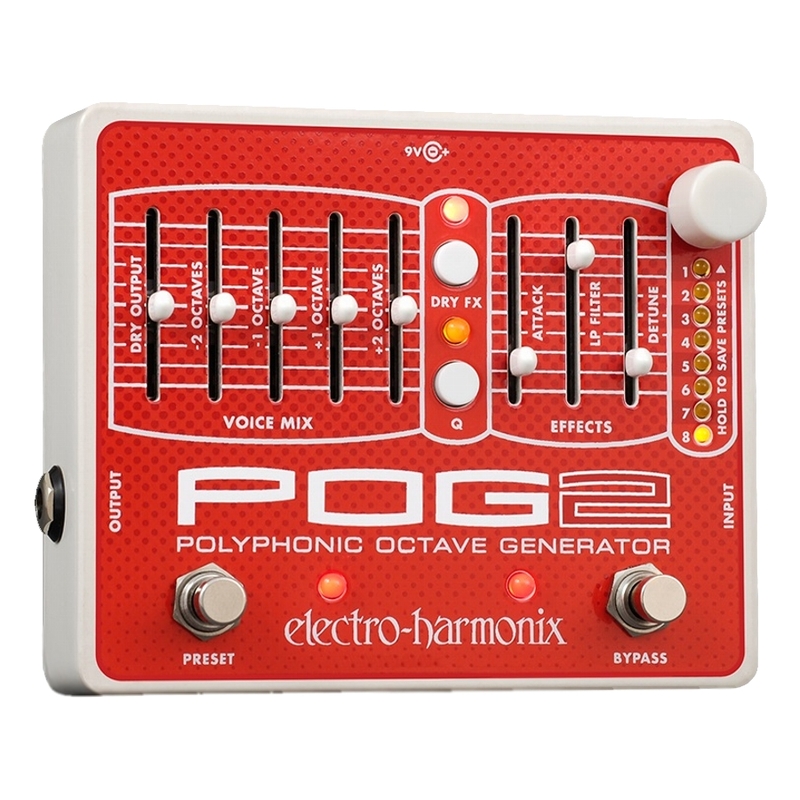 Back in 2005, Electro-Harmonix unveiled the original POG, a polyphonic octave generator that enabled guitarists to conjure everything from the surreal jangle of an 18-string guitar, to rich, thick walls of symphonic sound. The POG2 will take you even higher. Use the new attack control to fade in lush, smooth swells. Tune in the new second sub-octave to reach deeper than ever before. The 2-pole resonant low-pass filter now includes two additional Q modes. Slide in the newly enhanced detune to further refine your sound. The POG2 delivers unrivaled tonal variations—and now you can save your favorite settings, and recall them with a click. The POG2 just plain sounds better, thanks to an enhanced algorithm that delivers a more focused and in-the-pocket harmonic performance. And all this is now packed into our rugged and pedalboard-friendly diecast chassis.